Cardinity is a licensed all-in-one payment system registered on Visa and MasterCard networks. It includes a payment gateway, a merchant account, and an acquiring bank. The Cardinity system was developed to help various European businesses boost conversion by accepting card payments worldwide. It can be integrated with various popular e-commerce systems and shopping cart platforms as well as with custom projects through a well-documented API. 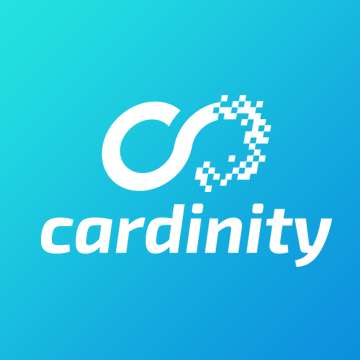 With Cardinity, online merchants will be able to activate recurring subscription billing, tokenization for one-click payments, delayed capture of payments, 3D Secure cardholder authentication, and more absolutely for free. The Cardinity merchant account is a perfect solution for businesses and sole proprietors who need to receive money from their customers all over the world. Cardinity offers online merchants the opportunity of secure credit and debit card payments. The merchant account is provided for free together with a payment gateway and all the essential and useful features, including security measures such as 3D Secure authentication tool, recurring subscription billing, one-click payments, free professional support and more. European businesses and sole proprietors can accept credit and debit card payments from their customers worldwide through the Cardinity payment gateway. Cardinity is a licensed payment service provider registered on Visa and MasterCard networks. It is a reliable and secure software which enables online merchants to charge their customers one time, weekly, monthly or annually. It can be integrated with the most popular shopping cart platforms, custom e-projects as well as mobile applications. One-Click payments is a free feature offered by Cardinity, an all-in-one payment service provider. With this feature, online shops can make it possible for returning customers to pay with a single click only. Customers won't need to enter their card details every time they make an order on your website and will be able to pay just by clicking the Pay with Card button. The Cardinity recurring billing tool is a free solution for European merchants who want to accept online payments from buyers periodically. You will be able to offer different billing plans and choose how often your customers will be charged: weekly, monthly, or annually. You will only pay per transaction fees and no monthly, no setup, and no hidden fees.